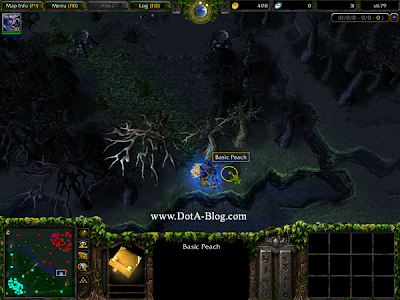 DotA 6.79 Quest, Sun Wukong! 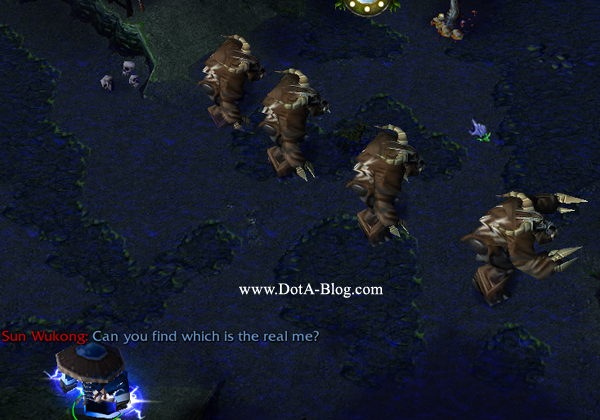 As expected, or maybe we better say IceFrog is living up our expectation, DotA 6.79 contains a secret quest! The secret quest will revealed Sun Wukong, which based on tradition, will be the next new hero. 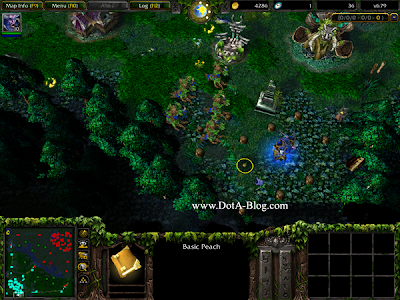 The quest is included in the official DotA 6.79 map. However, this time IceFrog gave us another challenge, the quest won't be triggered in the Single Mode or if you're using Test command! Let's check out the quest~! Phase 1: Collecting the Peaches! The first phase of the quest is collecting Basic Peach which is spreading accross the map. Thanks to Dracolich, we can find it easily using this map. After collecting all 5 of Basic Peach, it will merged into Greater Peach! Even the peach looks tempting, don't eat it yet! We will need this to summon Sun Wukong. Phase 2: Summoning Sun Wukong! To summon the boss, we will need the Greater Peach, Monkey King Bar (Javelin + Javelin + Demon Edge) and Rikimaru's Smoke Screen. 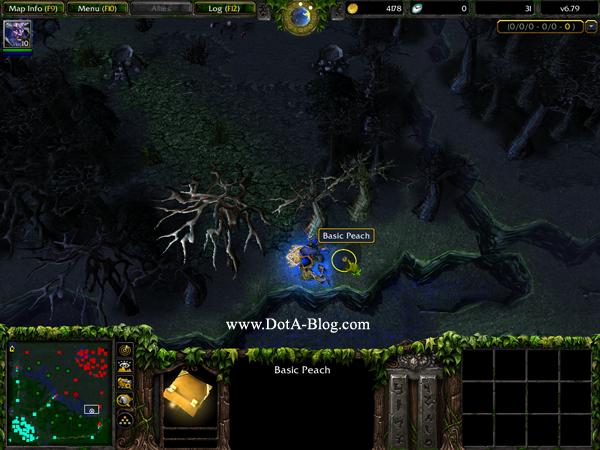 Put the Greater Peach and Monkey King Bar in to the middle of the triangle which is placed in the upper Rune. After appears, Sun Wukong will ask you to do a little contest. 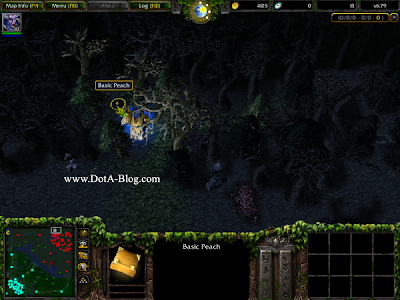 He will pick 1 random player from 1000 AoE near him as an opponent. You will have to beat him running into the bottom rune. The problem is, he is so fast and you will be Ensnared for 5 seconds when the race stared. And.. he only need 6 seconds to reach there. 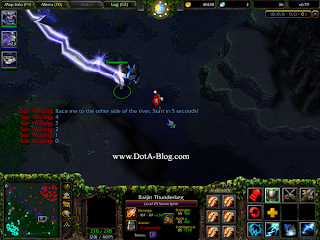 My choice is to use Storm Spirit to outrun him. Using Furion teleport is not possible due to Ensnare (but maybe BKB will break the Ensnare). If you failed to outrun him, he will disappear and the quest will be failed. Phase 4: Finding the Real Sun Wukong! 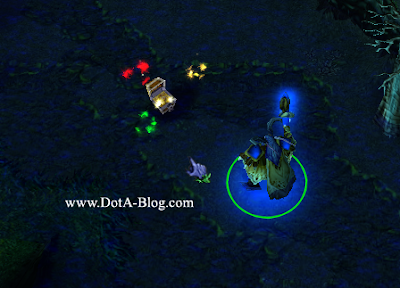 If you managed to won the race, Sun Wukong will create some illusion and you got to attack the real one. If you attack the fake one, the quest will be failed. You can solve this easily by select Sun Wukong before he multiplied. Phase 5: The Battle Begin! Now, you can attack Sun Wukong. However, he is really tough to beat. You got 20 minutes to beat him before he disappear and the quest will be failed. Every 30 seconds all units in 1000 AoE around WuKong get ensnared for 5 seconds. If you managed to beat him, he will drop Genuine Monkey King Bar which will provide Truestrike, 90% evasion, reveals invisible units, instantly takes control over any nearby illusions and provides +10000 damage and also causes you and all of your friends to have maximum movement speed and maximum attack speed. And.. I understand that not all of us can managed to do the quest without using Single Mode or Test command. 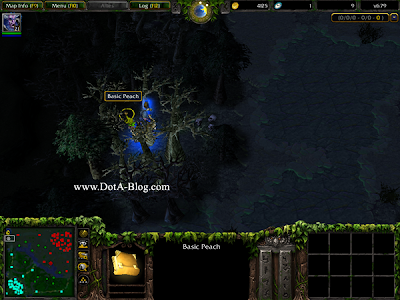 Fortunately, Dracolich also created a modified DotA 6.79 map which remove this restriction. You can download it in the below link and try the quest yourself. Using this map, you can activate the cheats command like whosyourdaddy and it will be a lot easier to beat Sun Wukong. Credits: Most of this guide is based on Dracolich guide on the PlayDotA. Thanks man, you're awesome! Just waiting to check out this hero :p Thanks for this update! what cheat did u do sir ? A mi me ha aparecido "vampiric runes" aproximadamente 10 en la parte de arriba cerca a la base principal. ¿Para que sirven? xin is probably another hero you can use instead of storm. i kill rdy..use huskar.ulti half life edy.but so many ulti i do after respawn. You can't host it in Local Area Network. It gotta be in Single Player > Custom Games > Dota v6.79 Test 8. I dont knoW hoW to use three heroes! What cheat or mode that I can use to have the three heroes? 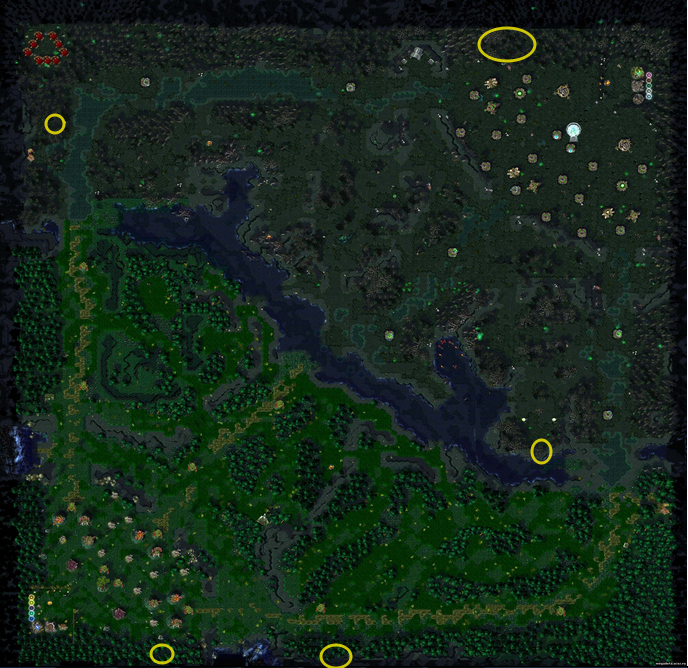 what's the modified map for 6.79? hindi ba to kayang mag isa>>>? ?dapat may kasama kang ibang tao? download mo lang ung map sir.. I finally got it. .I defeated the Sun Wukong.